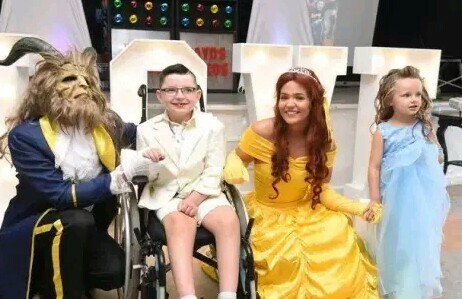 A sick boy’s last wish came true when he got to “marry” his mum in a lavish Disney-themed wedding. 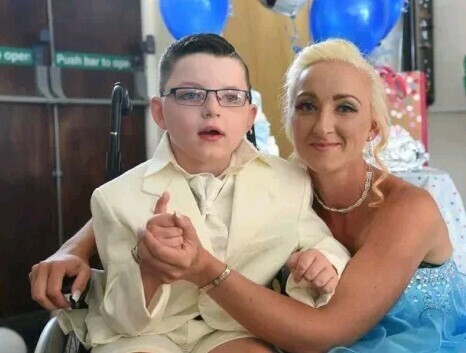 Seven-year-old Logan Mountcastle, who was diagnosed with an incurable genetic disorder in December, was all smiles as he tied the knot with mother Joelean in the pretend wedding. The family first noticed something might be wrong when Logan fell over last summer, started walking to one side and complained his “brain was hurting”. Doctors said nothing was wrong, and that he was a normal little boy, but an MRI scan eventually found him to be suffering from incurable Metachromatic Leukodystrophy (MLD).